It's me, your favourite/middle best/worst favourite member of the Ground is Lava! 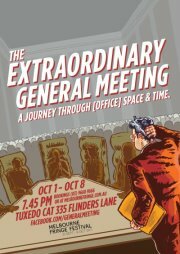 I'm currently performing in a comedy play at the Melbourne Fringe Festival called The Extraordinary General Meeting. 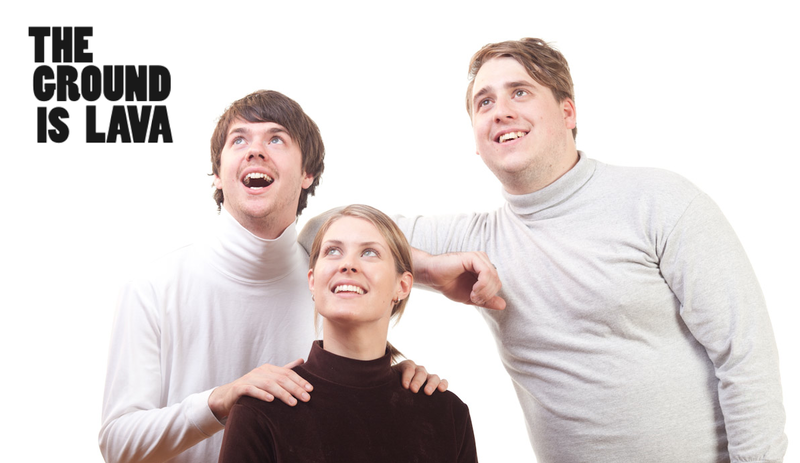 It's set in an office and involves many absurd, deranged characters. We have three more nights to go- Thurs 6th Oct, Fri 7th Oct and Sat 8th Oct.
7:45pm nightly at the Tuxedo Cat, 355 Flinders Lane.